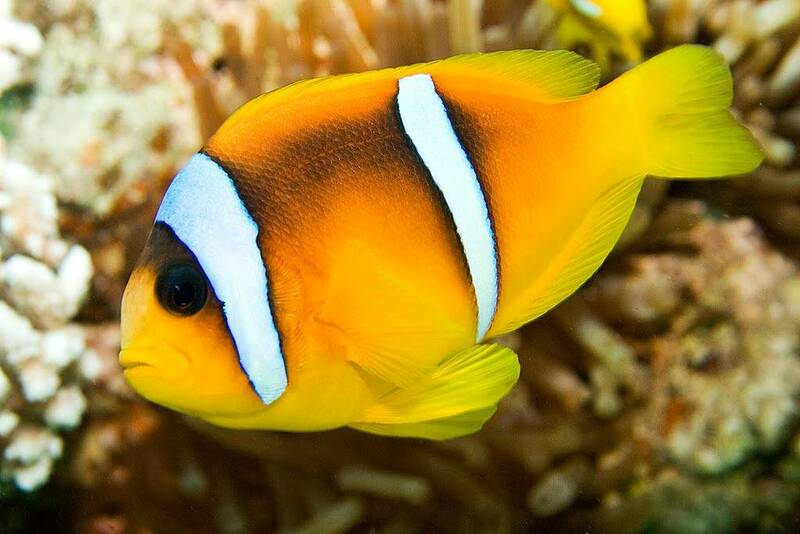 The Bicinctus Clownfish comes from the Red Sea, very similar to the Sebae clown. It doesn’t get too large, about 3 inches, and not that aggressive. It does well without anemones as it will use corals like mushrooms, frogspawn, and leathers.